The Legislature granted Utah’s state and higher education employees a 2.5 percent general wage increase for FY2018-2019, the largest across-the-board increase since 2008. In addition, lawmakers funded the anticipated 4.1 percent increase in health-insurance premiums, and the 401(k) match (up to $26 per pay period) for FY2019. 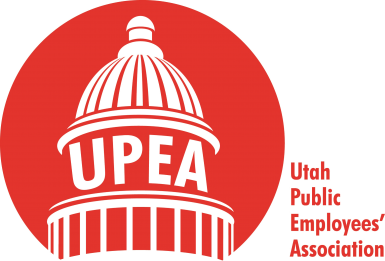 The Utah Public Employees’ Association (UPEA) lobbied lawmakers throughout the year to make employee compensation a priority during the legislative session. Gov. Gary Herbert recommended funding a 2 percent salary increase for all state employees when he introduced his budget in December 2017. UPEA saw this as a starting point, and made improving employee compensation a focus throughout the session. After revenue estimates were released in mid-February, the Executive Appropriations Committee began to construct the final FY2019 budget. Sen. Kevin Van Tassell, R-Vernal, introduced Senate Bill 8, State Agency and Higher Education Compensation Appropriations, which recommended a 1 percent pay increase for public employees. That prompted UPEA to meet with House and Senate leaders to educate and inform them of the needs of state employees. As a result, First Substitute Senate Bill 8 was introduced, proposing a 2.5 percent pay increase for public employees. It passed both the House and Senate, securing funding for a 2.5 percent general increase for all state and higher education employees that will go into effect July 1. Telephone calls and emails state employees sent to legislators did not go unheard. 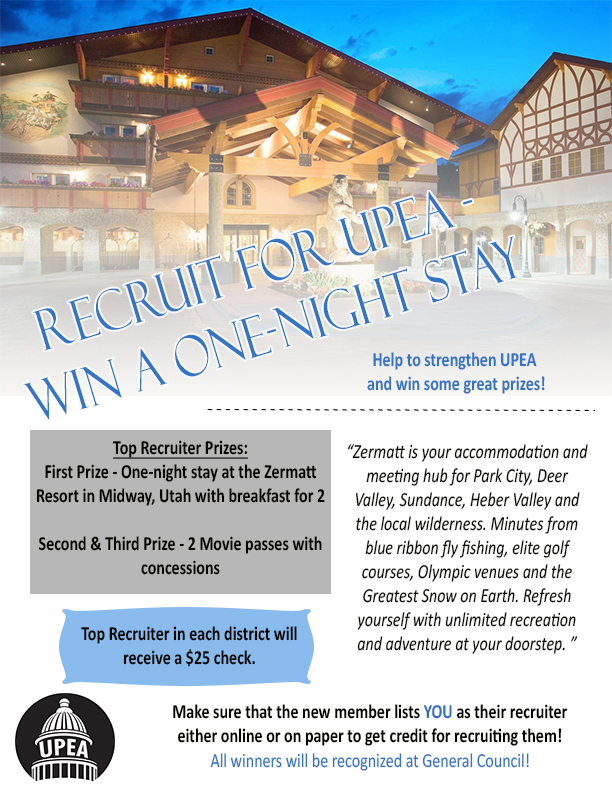 UPEA encourages state employees to maintain contact with legislators throughout the year to educate them on salary and benefits.